When you move into Georgetown, CA real estate, you arent just moving into a new place of residence, you are also moving into a new community that carries with it a magnificent historic past. If a quiet kind of life is what you are after, but a special kind of toned down life at that, then Georgetown is your best bet. 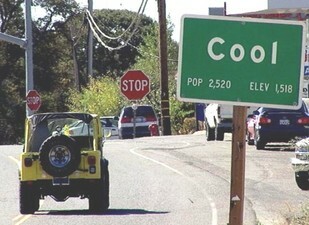 From Cool, Georgetown is a quick drive up Highway 193. On the road to this census-designated place in El Dorado County, one is faced with verdant pine trees and refreshing scenery. Georgetown, which is designated as California Historical Landmark #484, is registered as that for a good reason. Having a colorful history, Georgetown has its own story to tell. It was on August 7, 1849 that Georgetown came to be. This land, which was stumbled upon by a certain Hudson from Oregon during the time of the Gold Rush, was founded by George Phipps and his companions. The town was affectionately referred to as Growlersburg because of the sound that the big gold nuggets would make against the pans of the miners. Experiencing a quick boom, Georgetown had over 3,000 residents by the years 1854 to 1856. The Pride of the Mountains, Georgetown is not only engulfed in history, but also shrouded in the natural beauty of its surroundings. If youd like to know more about Georgetown, CA real estate, Timberline Realty, Inc. can let you in on all its little secrets.